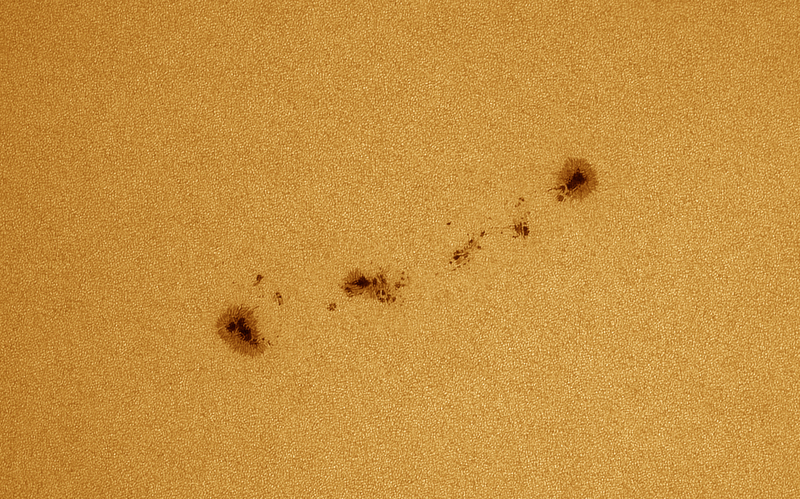 Sunspot group 2674 is moving to a better viewing position each day. 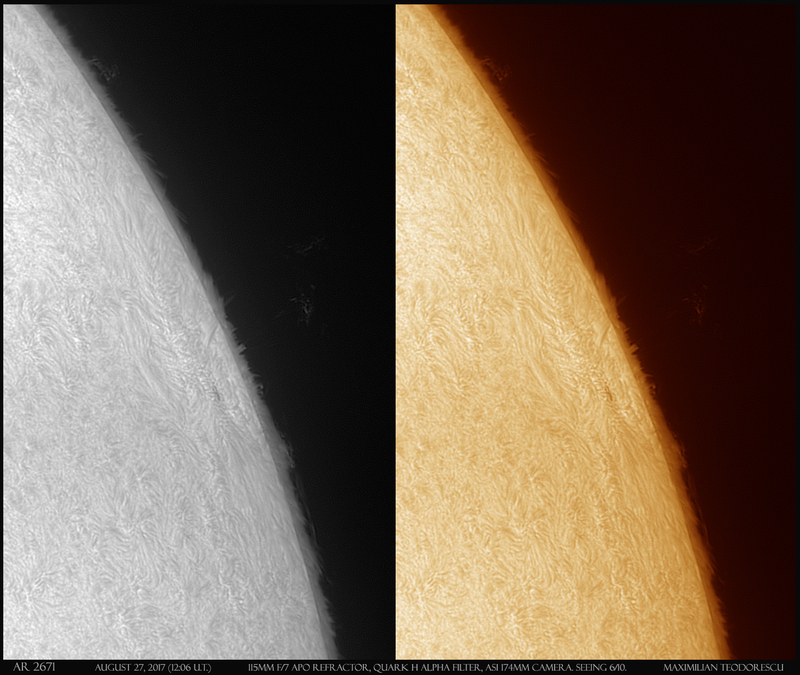 From time to time I try to make some changes to my telescopes, and on rare occasions I also try something possible dangerous. 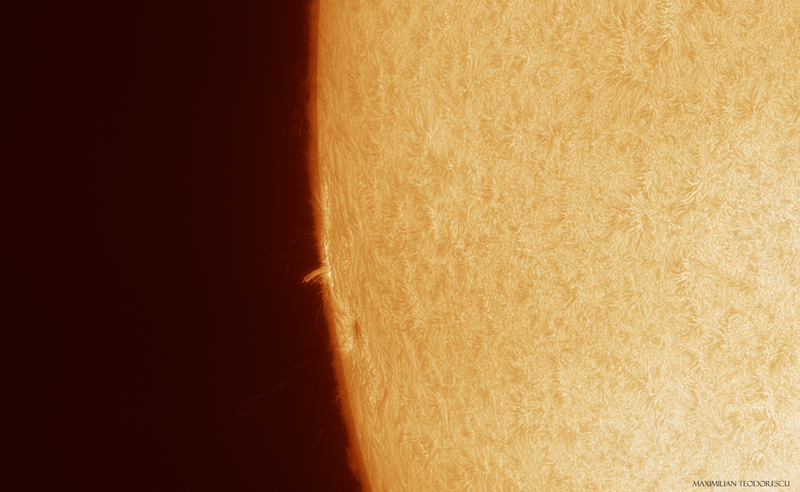 “Today was a good day for Science”- this was my motto when I got out with my homemade Newtonian reflector, trying to capture some H-alpha solar images. 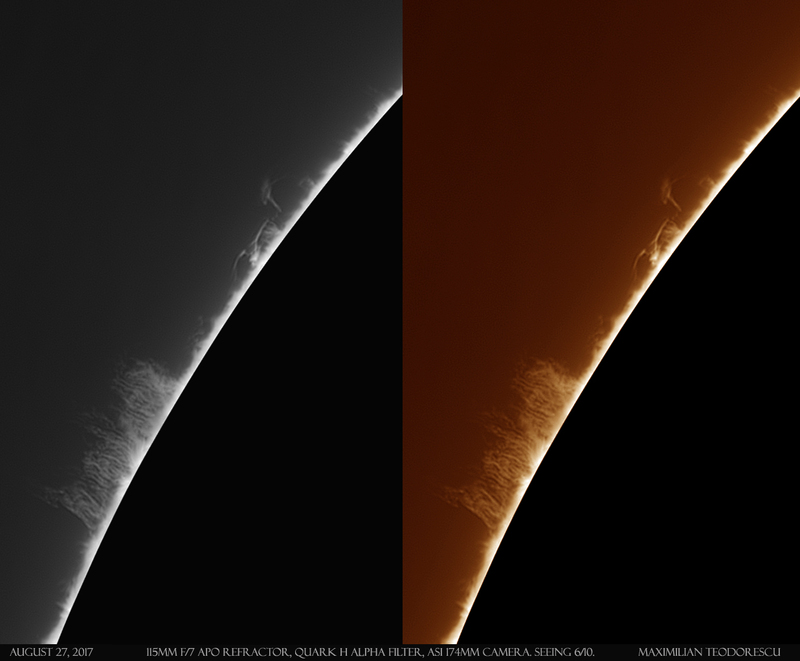 A few “hydrogen pics” from August 27 under average seeing conditions. 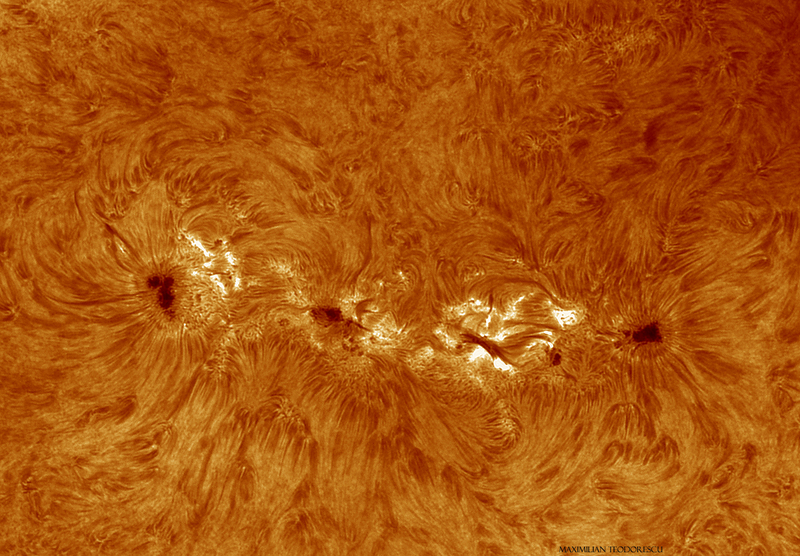 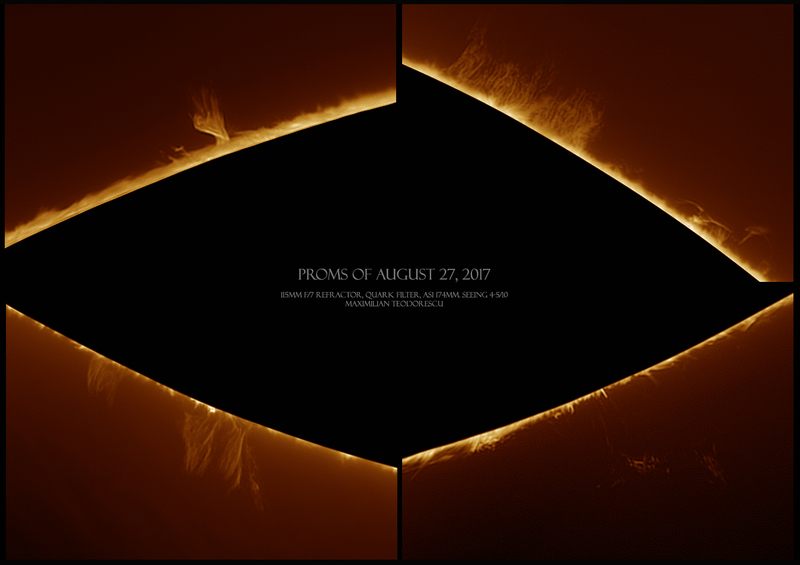 Some nice proms visible, and two active regions. 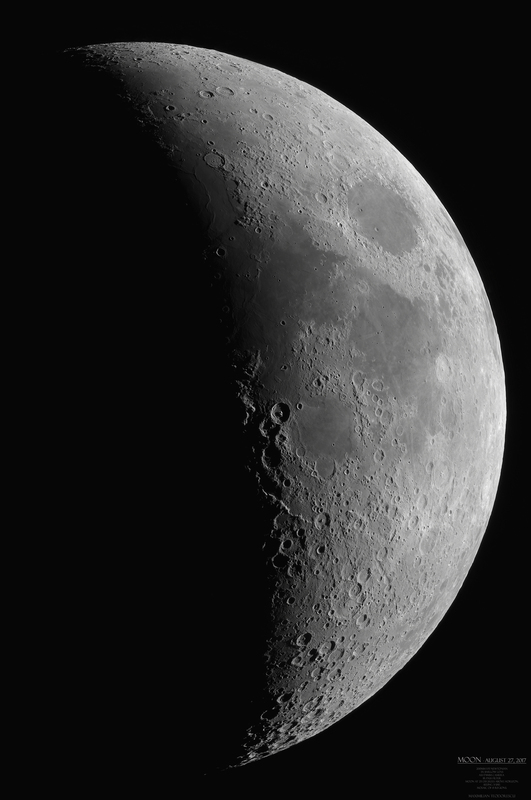 This shot was done with a 100mm lens on a Canon DSLR. 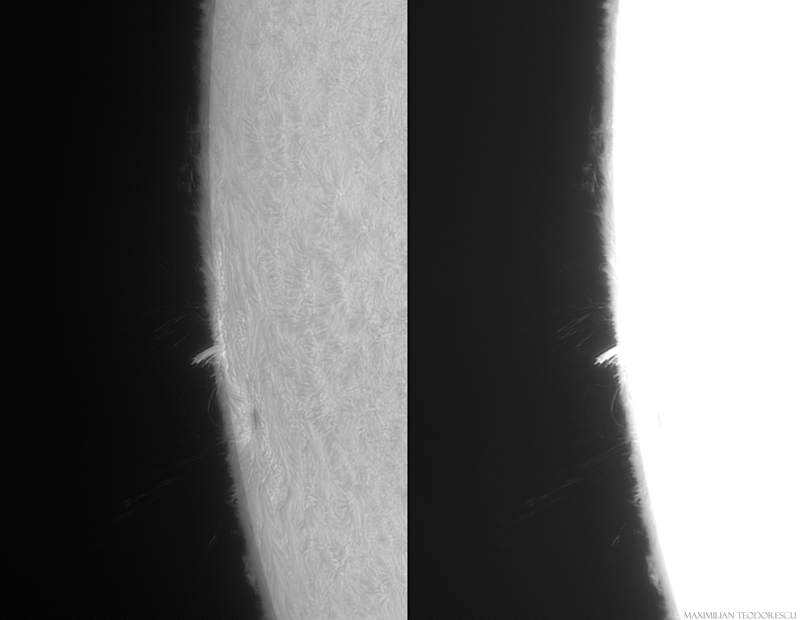 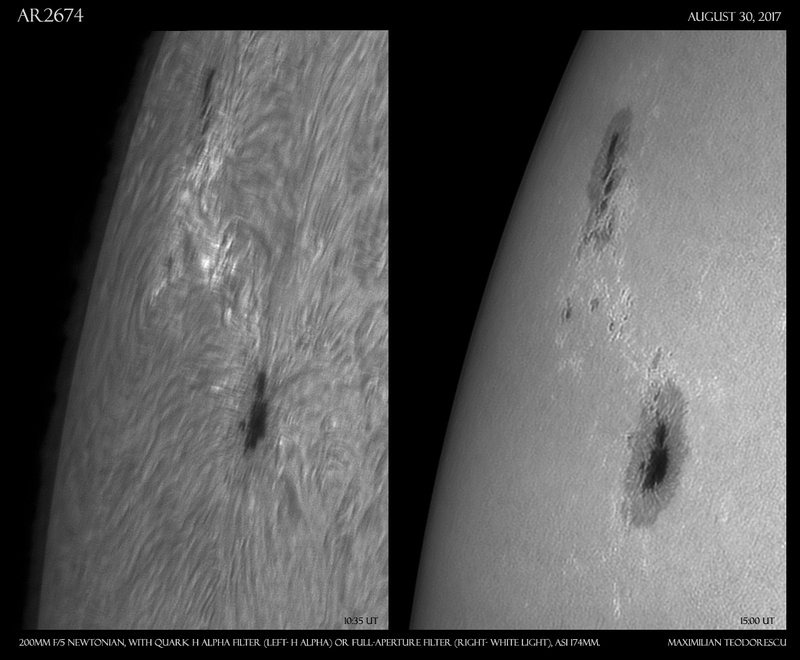 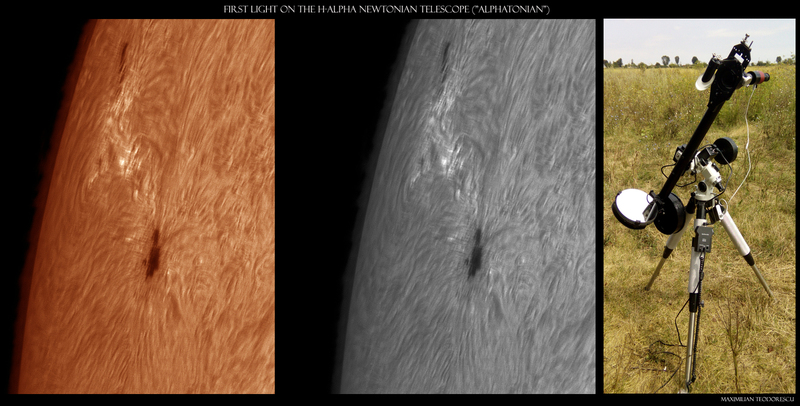 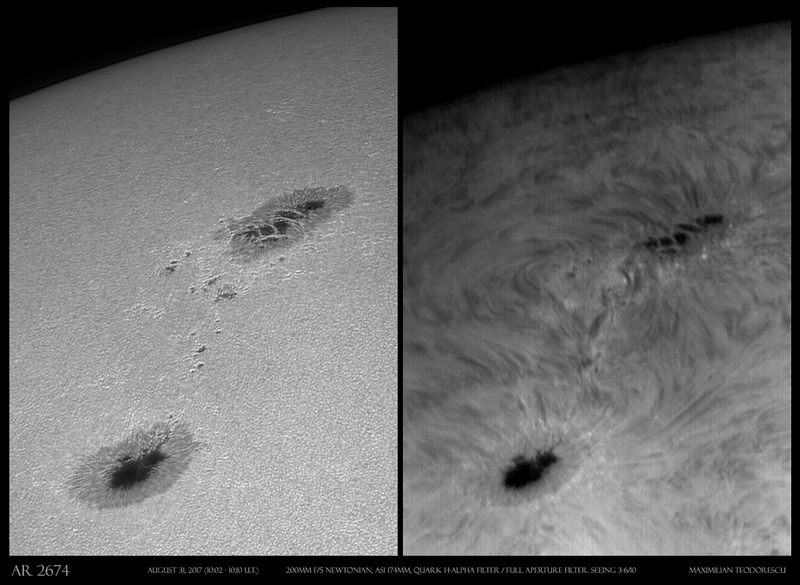 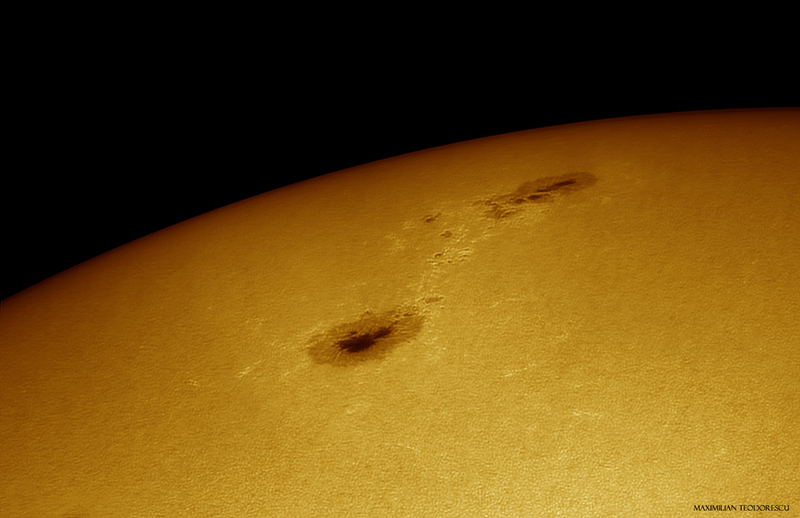 Some H-alpha shots from today’s session, with two active regions displaying lots of interesting details. 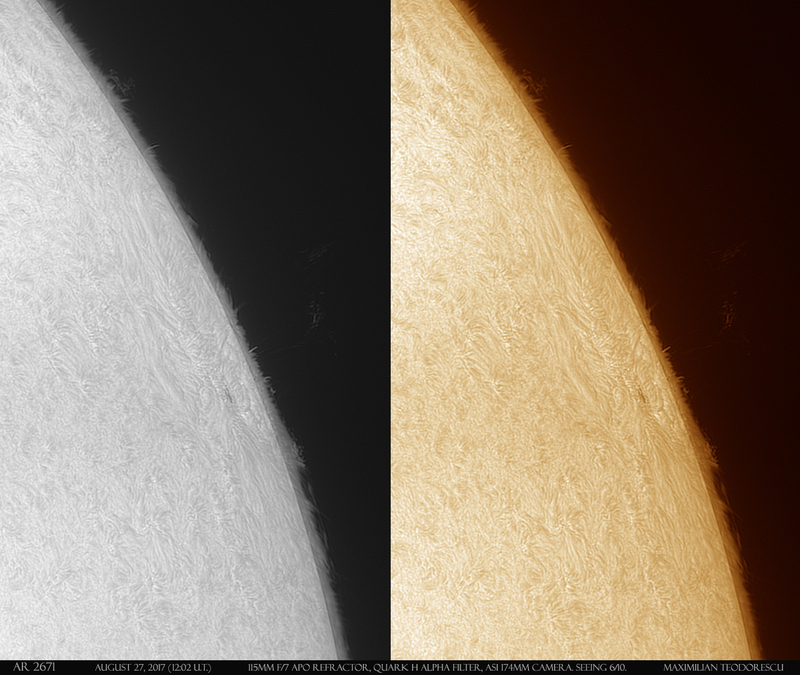 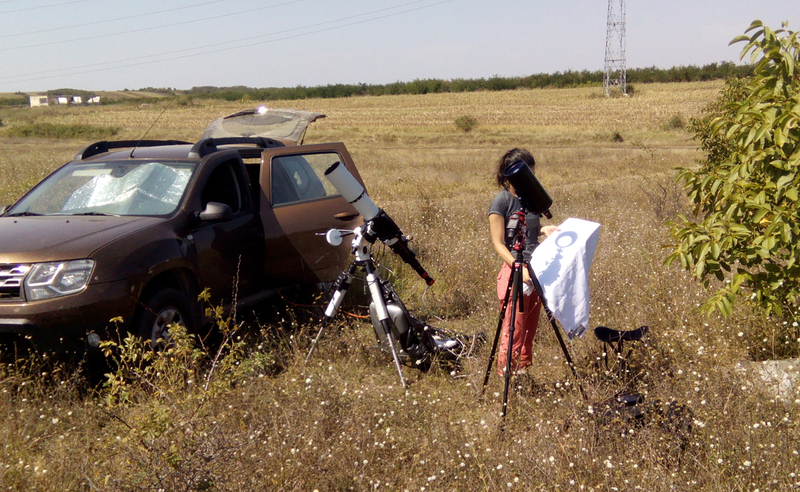 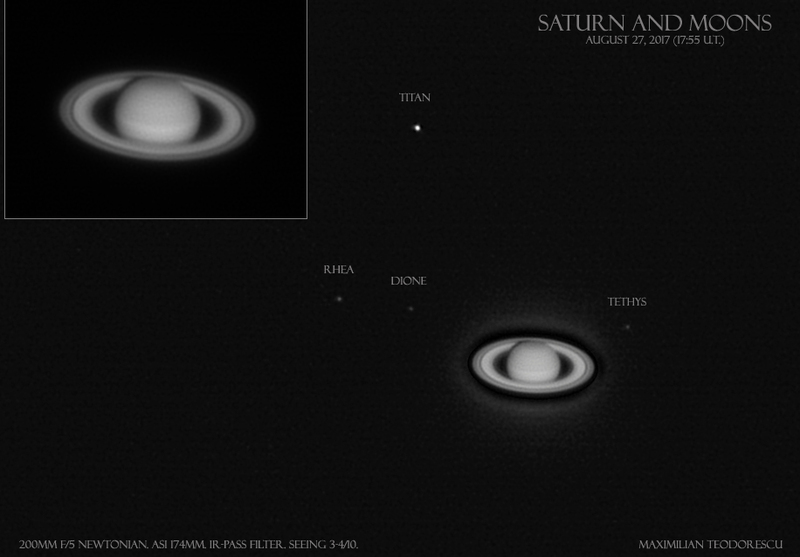 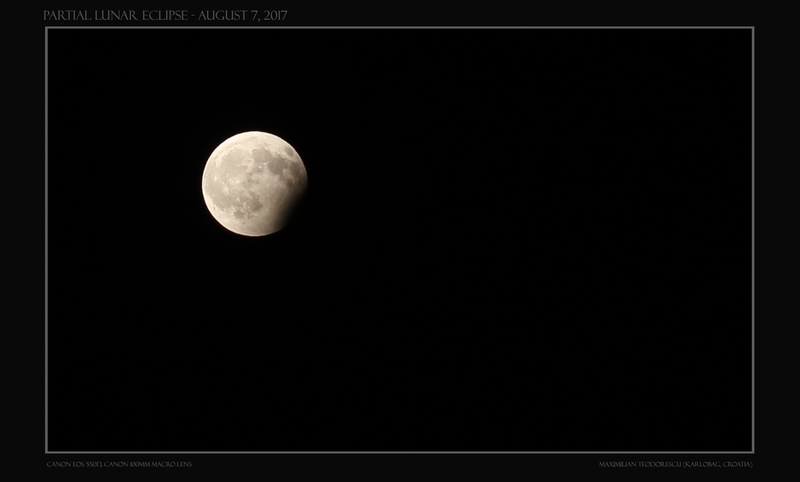 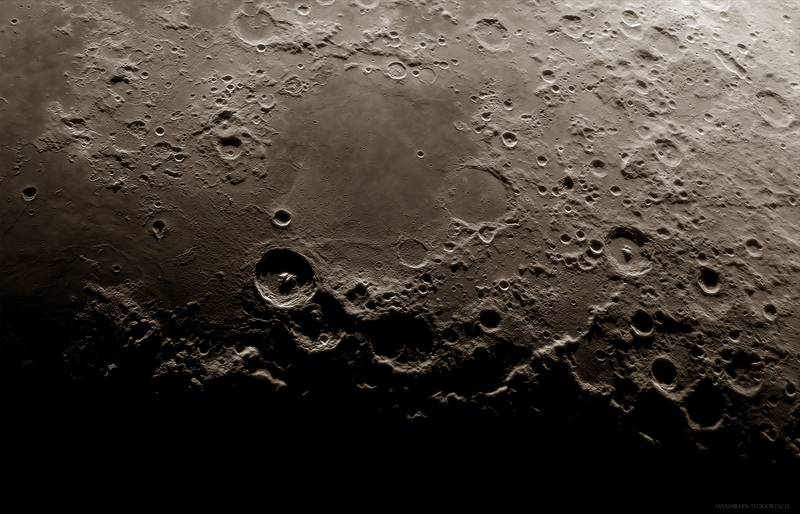 Poor seeing, as the temperature was a bit too high…(I couldn’t get to the imaging location sooner). 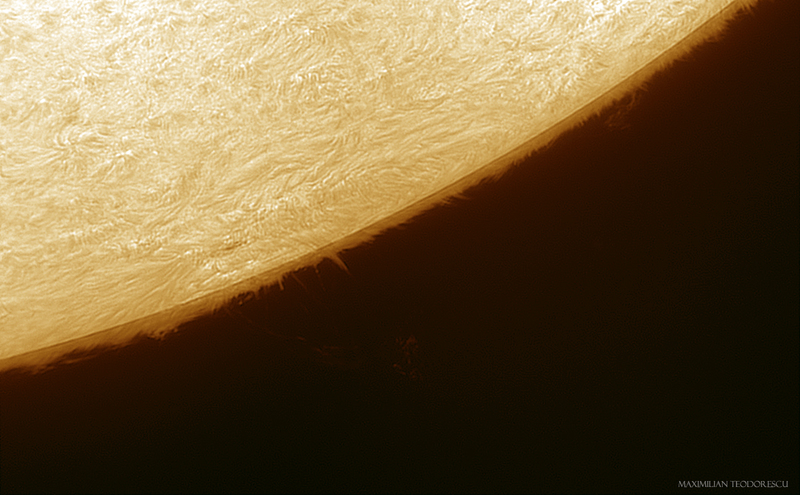 TS 115mm F/7 APO Refractor, Quark H alpha filter, ASI 174MM.